The common image of the secretary or personal assistant is that of a quiet 'Miss Jones' type - not usually expected to have the courage (or the right) to speak out on something they are passionate about. However, PAs have a vital role to play in an education environment - a role that requires real bravery. Written by the former PA to the principal of an innovative new academy in the UK, who now delivers training courses for secretaries and PAs in schools globally, this book offers tips, hints, anecdotes, time-saving advice, knowledge and expertise for PAs, secretaries and administrators to follow throughout the year. 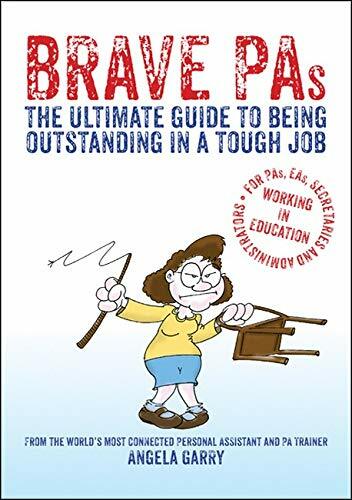 Brave PAs is the ONLY book specifically written with this audience in mind - by a former school PA, based on her own experiences and those of school administrative staff worldwide. Each individual bravery-themed section is packed with advice and insights to assist with your continuing professional development, enable you to perform at your best and cope with the inevitable challenging situations you face, one week at a time. All too often the 'forgotten' members of staff when it comes to arranging CPD events and opportunities, it is vital that every school Personal Assistant, Secretary or Administrator has access to some form of development resource to assist them in supporting their Headteacher or Principal. PAs, secretaries and administrators in schools, colleges and universities, this book is for you. Make this a brave year!